Post from Transformation Tom- Laugh at Work; Laugh With Others: Chapter from "The Transformation of a Doubting Thomas"
I used to provide newer people at work a business overview once a month. I would go into the classroom and spend about an hour talking about my business. I tried to be as engaging as possible and attempted to add some interesting stories and humor to the presentation. We would get evaluations back, and every once and a while I would get one back that said I was funny. My wife has often said, “You’re just not funny, but that’s not what I love about you,” then we both laugh at ourselves. I have a tendency to get straight to the point and straight to work in the professional environment. She said enough with that comment to remind me to enjoy myself at work and to inject humor, on occasion, to get through tough times, or to just enjoy a laugh with colleagues for the sake of a laugh. Earlier in my professional career, I had a serious undertone to my working style. I was too uptight and often too businesslike when a good laugh would have been better. I was inconsistently funny in some situations, and attempted to be funny in other times when it was not appropriate. I knew when a laugh was needed, but attempted too hard to make it happen. I have found, early on, through Toastmasters, and by observing fellow colleagues who could effectively work a meeting with well-timed humor, that it is a communication tool. If I worked hard enough on my speeches and presentations, and consciously applied humor, I could have a more positive influence on the people around me since they remained engaged. I may never be considered a comedian, but I was starting to pick up that humorous communication is a learned trait and must be honed. Humorous communication is about timing and delivery, and about how to effectively use the tool. I still had work to do on my humorous side, but I saw the value. Humor can be an effective form of communication. If the person attempting humor is not considered funny, it can be an ineffective form of communication. I will state the obvious and note that humor can be inappropriate, poorly timed, or offensive—be aware of the audience, timing, and potential impacts. There were times when I knew I was trying too hard in my attempts to slip in a funny comment that wasn’t natural for me. In many cases, it may have been blurted out of nervousness. One of my managers hit me between the eyes with feedback once by telling me to relax. I knew my body language at the time showed tension. The manager followed up the comment, “You need to relax,” with, “and you can be really boring, at times.” Ouch. It’s tough when someone is so dead-on accurate with his or her feedback. We discussed it further. He was making the point that we had laughed together in the past and he enjoyed that side of me. He wanted me to be more myself. We also discussed timing and style. I know that I am not a natural story or joke teller. But, I do enjoy self-deprecating humor and appropriately timed one-liners in my personal time; I just had difficulty carrying that over to the professional side. If I learned to be a better storyteller, I could transform my style to one that would possibly reduce my own anxiety, improve my satisfaction level, and change the perception of people around me. Do you remember that my wife said I’m not funny? In reality, my wife and my manager were both right. I needed to be more of myself at work and enjoy the ride. Toastmasters International has annual humorous contests. 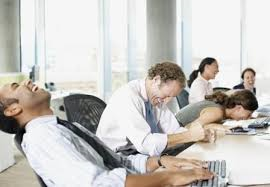 I heard tenured members say that the humorous speech was the hardest speech to write. However, they also emphasized that it is an important part of communication. If you can react effectively to a joke, or actively tell a story that can keep an audience’s interest and make them laugh, you are winning in the game of communication. I had to work hard at acting naturally to create memorable speeches that grabbed the audience’s attention through humor. I gained more audience reaction and increased my confidence level the more I did it. As I “practiced” being more myself and being less prescribed with what I said and how and when I said it, I was able to be more personable in my interactions. I was turning into someone I already was—the person I was outside of work. I was starting to be perceived as less uptight and even funny, at times. The goal was not to be a comedian, but to be able to relax and be an active part of any engaging conversation. I became more conscious of my own enjoyment at work. I could also see how people seemed to be enjoying our conversations more. I now periodically get a note that says, “Thanks for making me laugh today…I needed it.” I have heard that more often over the last few years from people who worked with me in the past. They have gone out of their way to mention how they enjoyed this side of me and had no idea I had this type of personality. These comments go a long way in increasing my confidence level. I ended up finishing third in my first Toastmasters Humorous Speech Contest for our Division in 2009. The division represented the state of Maine and a small part of New Hampshire. I was proud of myself. I entered a contest for humor when I knew I had to work very hard at being funny. I was learning through Toastmasters, and through better self awareness and practice about my “looser” communication style, I was learning to find my true voice. I even won the division humorous contest in 2011. I was breaking out of my serious shell and having good laughs with others along the way. I now try to consistently incorporate natural humor into my presentations and speeches to get across key points, and in some cases, purely for entertainment purposes. My satisfaction with work has been through the roof over the past several years. So has my productivity and quality of work; and so has my success. It is not a coincidence.